Dr. Heather Robertson received her Doctorate of Veterinary Medicine from Purdue University in 1996. She then successfully completed an internship in small animal medicine and surgery at Michigan Veterinary Specialists in Southfield, Michigan in 1997. Dr. Robertson has 15 years of experience in general practice and emergency / critical care. She has also pursued extensive training in veterinary practice management. 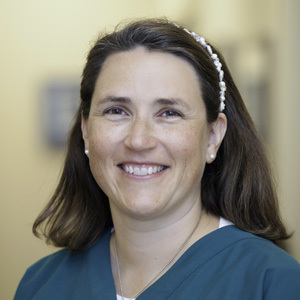 Dr. Robertson is the owner of AEC and her positive personality and energy parallels her practice's style and lends confidence to the families of our patients. Heather is an avid triathlete and has been successful in several competitions. She grew up in Maryland along the Chesapeake Bay. She is the proud mother of 2 cats, 2 dogs, and 2 toddler aged sons.